Seats in sections 325, 326, 327 and 328 are among some of the best options for impressing a guest at Miller Park. To search tickets in these seats, select an event and apply the filter labeled Impressing a Guest. Seats in sections 217, 309, 408 and 409 come highly recommended for children and families at Miller Park. To search tickets in these seats, select an event and apply the filter labeled Children and Families. Seats in sections 426, 427, 428 and 429 were hand picked as great places to sit for partying and socializing at Miller Park. 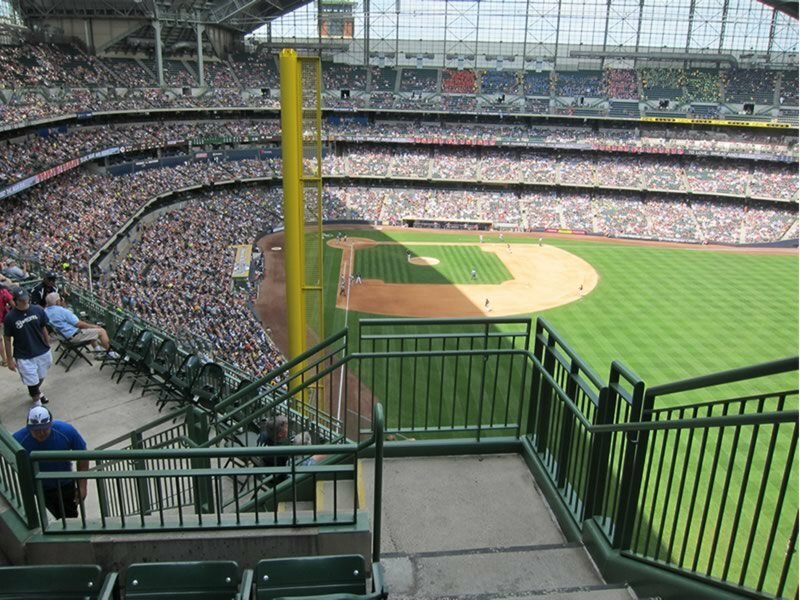 These seats were hand-selected at Miller Park for being close to a wide-range of amenities and near the concourse for fewer stairs to climb. To search tickets in these seats, select an event and apply the filter labeled . Giving you the best straight away views of the field at Miller Park from every level of seating. Sections 115, 116, 117 and 118 are where you will find some of the most ideal viewing angles to the very center of home plate, allowing you to sit comfortably without needing a big head turn to follow the action. To search tickets in these seats, select an event and apply the filter labeled Home Plate. Best suited for families heading to Miller Park, there are select seating areas where alcohol is strictly prohibited. Sections 217, 309, and 417 are family-friendly sections at Miller Park. Alcohol and profanity are strictly prohibited. To search tickets in these seating areas, select an event and apply the corresponding filter. The Brewers dugout is located just in front of Sections 112, 113 and 114 at Miller Park. Sitting behind the dugout will not only give you great views of the field, you'll be able to see all of your favorite players up-close as they enter and exit the dugout. If you're lucky, you even get tossed a souvenir! "Great section" - ★★★★★ - Club level is my favorite. Uncrowded sections with in seat food service. "Absolutely Amazing!" - ★★★★★ - Great crowd, view was awesome, food was delicious! 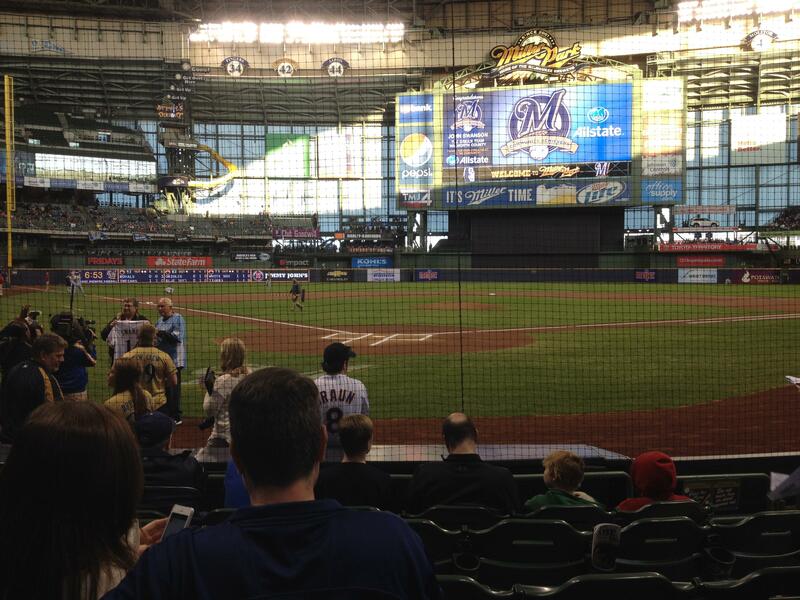 "Chicago Cubs at Milwaukee Brewers - Apr 7, 2019" - ★★★★ - Great seats! How many seats in Section 208 Row 9 at Miller Park? How many seats are in a row in Section 110 at Miller Park? 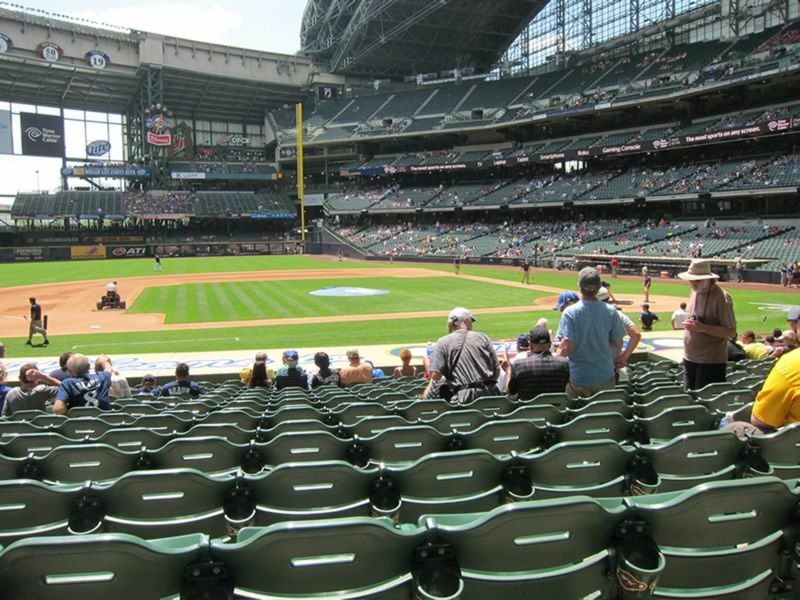 Will loge seats work at Miller Park for fans with limited mobility? Where Can We Sit Out of the Sun at Miller Park? Where should I sit if I want to be in the sun at Miller Park? Is there an elevator that goes to the Terrace Level at Miller Park? Where is Section 117 Row 4 at Miller Park?